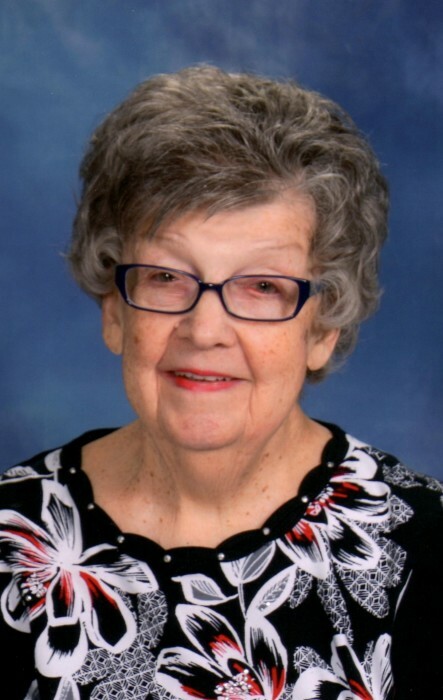 Obituary for Janet Mae (Eichenlaub) Macurdy | Fox Funeral Home, Inc.
Janet Mae Eichenlaub Macurdy, 84 of Butler passed away on February 1, 2019 at her home. Born September 5, 1934 in Great Belt, PA, she was the daughter of Edward Eichenlaub and Mae Thoma Eichenlaub. Janet was a home maker and had worked at Grants Department Store and at Moonlight Mushroom, where she met her husband. Janet enjoyed reading and embroidering. She was known for her delicious baking, especially home made buns and raisin filled cookies. Janet took pride in her homemaking skills from a spotless house to whipping up a batch of fudge. She was active in the Knoch High School Football Boosters. A lifetime member of St. Mary of the Assumption Church in Herman, a Christian Mother and one of the founding women of St. Mary's Outreach. She helped orchestrate the food cupboard. Over 30 years, she helped purchase groceries and pack baskets for needy families. Janet also helped make teddy bears for the Butler Memorial Hospital. Over 1,000 bears were given to the children in the emergency room. She was a member of the Resurrection Choir. The love of her life, Leon Macurdy whom she married May 15, 1956, passed away August 10, 1983. Surviving are her four children Keith (Paula) Macurdy of Harrison City, Laneice (Dan) Olesnevich of Butler, Pamela (Kevin) Karenbauer of Butler, Shields (Sherri) Macurdy of Cabot. 11 grandchildren, Andrea Grandy, Matthew Olesnevich, Rachel Robinson, Steven Karenbauer, David Olesnevich, Jaron Macurdy, Meagan Buss, Danae Cassels, Shields Everett Macurdy, Sawyer Macurdy and Reilly Macurdy. 7 great-grandchildren. Her surviving siblings, Donna Mazzanti of Butler, Dale (Sally) Eichenlaub of Butler, Wanda Piccola of Cabot and Debbie (Dean) Spahn of Butler, also her sister-in-law Sandra (Robert) Stivenson and brother-in-law Glenn (Darlene) Macurdy and a number of nieces and nephews. In addition to her husband and parents, she was preceded in death by her brother Ronald "Ike" Eichenlaub and sisters Charmaine Macurdy and Sister Janice Eichenlaub, C.D.P. Friends will be received on Monday, February 4, 2019, from 2-4 & 6-8 pm at the Fox Funeral Home, Inc., Saxonburg, PA.
Mass of Christian Burial will be celebrated on Tuesday, February 5, 2019, 11:00 am at the St. Mary's R.C. Church in Herman, with Fr. Ward Stakem officiating. In lieu of flowers, memorial donations may be made to the St. Mary's Assumption Food Cupboard 821 Herman Road Butler, PA 16002.